I began my journey by receiving knowledge and light energy by entering into the spiritual world. I met with spirit guides often who taught me how to protect myself while traveling through different dimensions. These guides continued to train and develop me with my gift. It was at this time that I realized that I was being developed for mediumship. It is a spiritual law that light and darkness are not capable to occupy the same space. “Forth out of obscurity and out of darkness.” We are all part of a collective consciousness. Our thoughts are energy. Every thought or experience is recorded in our energy field. Emotion also has its own energy vibration. Love is high whereas fear or negative emotions vibrate at a low frequency. A medium is someone who has the ability to communicate with the people who have passed on to the afterlife. They are like a doorway of energy and consciousness between the physical plane and the spirit dimension. I find that the spirit usually knows the client is coming to see me before they even make the call to book a session. The client will strongly sense their energy for days prior and sometimes so will I. We are more than just physical beings, everything is made up of energy. All of us are vibrational beings and we all need to protect our energy field. When we build our auric field and try to release negative emotions we build our auric strength. 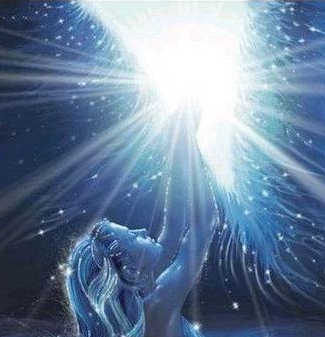 White light energy is a very powerful tool to protect ourselves from lower frequency energies. It is important that you ask for white light shields from your heart and with a strong intent, asking God to give you protection from negative energies. Thank you for the wonderful gifts you share. My experience was moving, insightful, profound, and humbling. It was a wonderful experience hearing the truth by those who care and watch over you. I recommend Dora if you want to move forward and enjoy the wonders of physical manifestations of Spirit. I would recommend Dora without reservation for all the questions you are seeking answers to. The Wisdom and insight I gained was overpowering and the confirmations were out of this world. She has the utmost concern for her clients. My life has been “lit” up! I will most definitely be visiting her again. Dora is undeniably the real thing! The confirmations that I received during my reading left no doubt in my mind that she had connected with my deceased Grandmother. Predictions made in my reading have already happened for me. Quite honestly the best Psychic Medium experience I have ever had!